It’s often the case that BMW’s biggest competition is itself from a few years ago. “I miss the old BMW,” the enthusiasts declare, always referring to the same car from two generations back while deriding the new one as fat and wallowing and not as sporty as it should be. Around here we call it Bavarian Brainfart Disorder, or BBD, and while it’s not always a fair assessment it does have some merits. But guess what: BMW is aware of this, and they’re sick of hearing about it. BMW has been building the exact same car for 51 years and everyone seems surprised about it. First thing and this is for me the most important thing; you can drive fast and completely relaxed. You don’t feel how fast you are. Second thing and this thing is a big achievement; this car is much more valuable, it has much better materials and it is solid like a rock. You do not only feel it in driving, you feel it in ride comfort. Declaring BMW to be not as good as it used to be is a fun sport, but I actually think the Bavarians have done a lot right lately. The latest 5 Series is one of the best sedans in the world, full stop. The new X5 scored high marks recently here too. The brand’s doing some interesting things with electrification. The last M3 I drove on a track was one of the most capable and competent cars I’ve experienced to date. The 2 Series remains the light and the truth, and we’re getting a new one soon too. The new Z4 and 8 Series are welcome additions to a landscape increasingly dominated by SUVs. But despite Frohlich’s clear frustration at having to fight nostalgia with every new product, trepidation is warranted here—not only is this G20 the largest 3 ever, by far, it’s also the first one to deploy without a manual transmission in the U.S. market, something that still feels like a betrayal of the base. 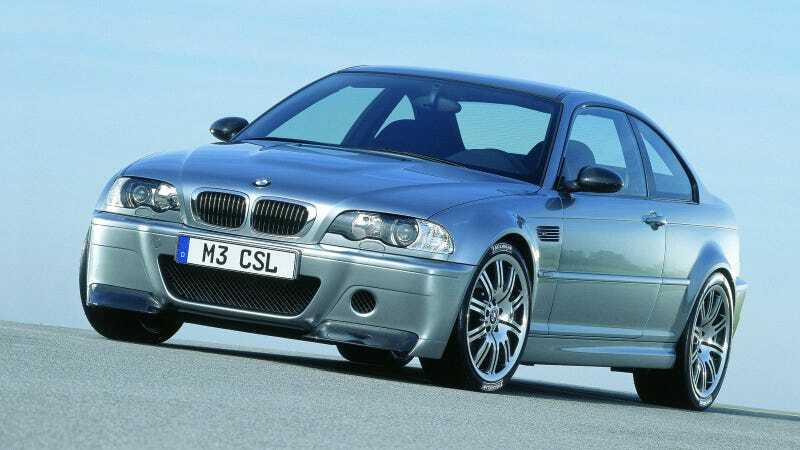 Anyway, BMW would appreciate it if you (and journalists) would quit bringing up the damn E46, thanks very much.